4 Cup Carriers, manufactured from Moulded Pulp Fibre. 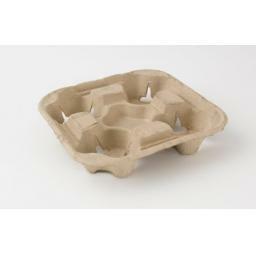 Drink Carriers are biodegradable, compostable and recyclable. Size: 225mm x 225mm / 8.25" x 8.25"